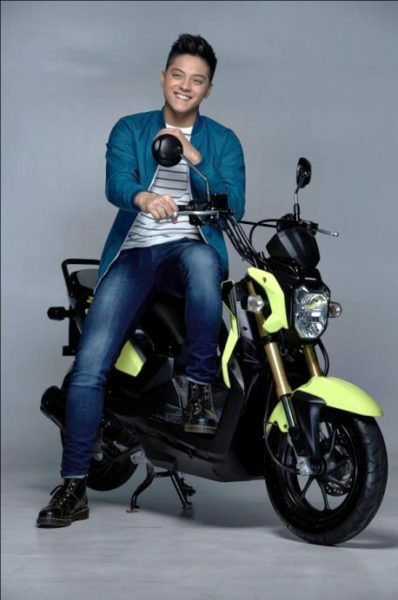 Teen idol Daniel Padilla enjoys a handful of activities in his career—movie and television projects and international concert tours, to name a few—yet he still finds time to be a positive influence to his fans by making the right decisions.His latest exciting venture aims to further influence today’s youth, this time to make the same smart choices on the road, through riding with Honda motorcycles. 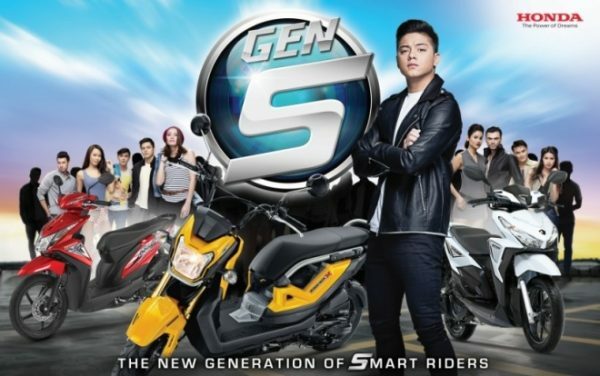 Daniel headlines as the newest endorser of the latest innovative breed of Honda motorcycles—Generation Smart (Gen S).Showcasing better fuel-efficiency, road safety and eco-friendly features, the Honda motorcyclesare perfect for the diverse personalities of the emerging generation of smart riders. Designed for the young Filipino’s varying needs and lifestyles, the Beat-Fi “Let Your Beat Out”, Click 125i “Join the Evolution”, and Zoomer-X “I.Am.Unstoppable” are all equipped with the Honda Smart Technology, a unique set of revolutionary features suited for the Gen S, to enhance and create positive impacts in their everyday life. “Proudakonamapilingendorser ngHonda Gen S motorcycles.Hindilangkasisapormadapatmaganda,patinarinsa features—matipid, eco-friendly, at safesakalsada. ‘Pag smart rider ka, ditokasaHonda Gen S motorcycles,” Padilla said. Among the three motorcycles, his personal favorite is the Honda Zoomer-X for its real naked, tough, and durable design concept that goes with a fuel-efficient 110cc engine for a cleaner combustion and higher torque power. Daniel likes the Zoomer-X for its real naked, tough, and durable design concept. Perhaps the most important features of the Honda Smart Technology, the Enhanced Smart Power (eSP), Idling Stop System (ISS), and Combined Break System (CBS) encompassfuel-efficiency, eco-friendliness, and road safety, suited for every Gen S rider. The eSP is known for its advancement in engine technology that ensures superior engine power and improved fuel mileage, while the ISS automatically switches off the motorcycle’s engine after three (3) seconds of idling (ideal for any traffic situation), and the CBS activates both rear and front breaks for a greater and safer stopping power. All these features in the latest Honda motorcycles are preferred by Gen S riders as well as Daniel himself.“Pare-parehongimportante ‘yung features ng Smart Technology, perogusto kotalaga‘yung Idling Stop System kasinakakapahinga‘yungmakinangmotorsiklo,tipidpa sa gas lalona kung trapik,” Padilla shared. The Generation Sis a group of people who are smart and sensible—those who value practicality and technological innovation with style. All these expectations are met by the core concept of Smart Technology, which has been the cutting edge contribution of Honda Philippines, Inc. to the motorcycle industry.